With Spring just around the corner, Atlanta is getting into the season of what it serves up best – Brunch! Brunchfest with Yacht Rock Review is serving up an afternoon of bubbles, brunchy cocktails bars, breakfast bites, live music, and more. Brunch Drinks and Food Stations each require a $7 ticket. As you fill up on delicious brunch foods, sip your way through Rose’, Froze, Mimosas, craft beer, wine, and of course Park Tavern’s delicious Bloody Mary! Krispy Kreme Donuts with a topping bar of whipped cream, strawberries, and chocolate. 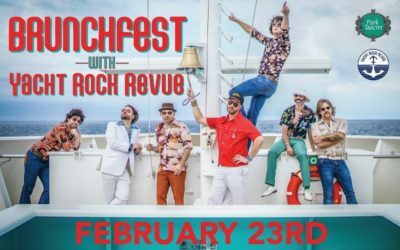 More information on Brunchfest with Yacht Rock Review.